HR Weatherford Company was formed in 1992 to provide advisory services for development and construction projects. Mr. Weatherford himself has over thirty-three years of experience in the construction management field. This experience has provided Mr. Weatherford with an in-depth understanding of field supervision, cost control, project management, and construction management of projects valued, in excess of seven hundred million dollars and six million square feet. 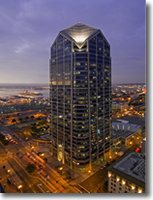 Before founding HR Weatherford Company, Mr. Weatherford was a seventeen-year employee of San Diego’s largest construction company, where he specialized in management of large turnkey commercial projects. In addition, he was a three-year project manager for one of San Diego’s largest development companies specializing in “construction management” of commercial projects and tenant improvements.